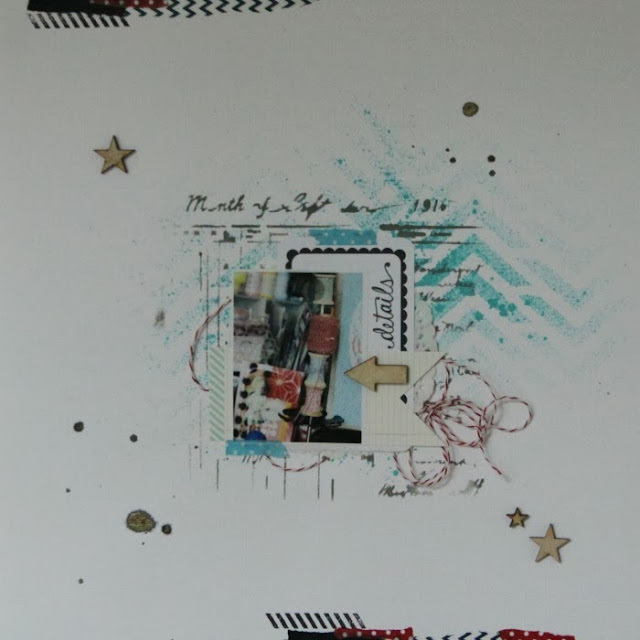 Material used: Patterned papers; NONE Embellishments; SODAlicious chipboard & stamp. Tag and journaling card from my stash. Washitape from Lagerhouse. Stencils from Crafters Workshop. Ink from 13@rts and Heidi Swapp. White cardstock.